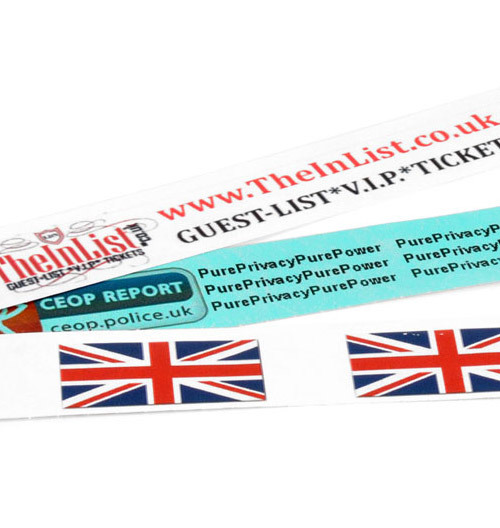 Get cost effective full colour security with our custom printed tyvek wristbands. Note: Quantity discounts will be applied in shopping cart. Only available in multiples of 100’s Qty of 1 = 100 wristbands. 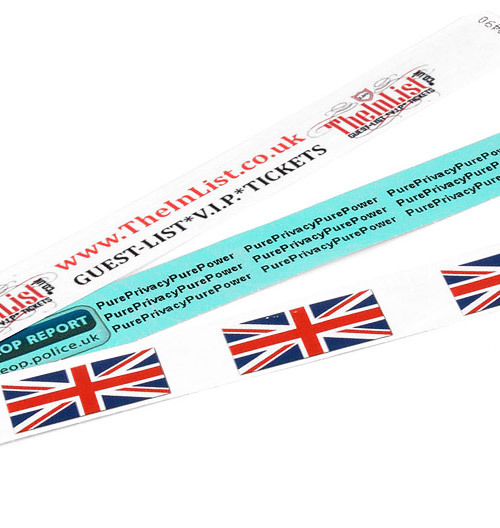 Product information for Full Colour Printed Tyvek Wristbands. 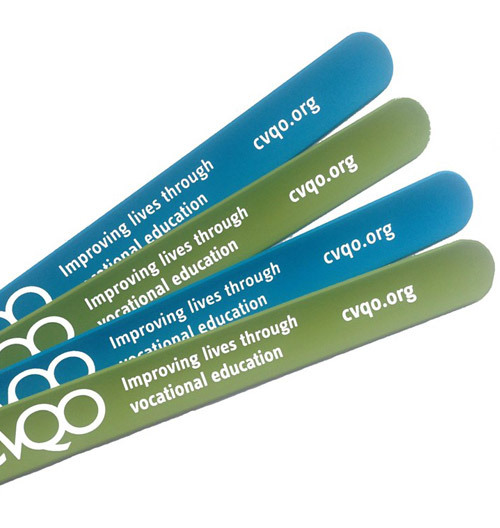 Using full colour print allows you to be very creative in designing the wristband as tonal colours and any colour or multi-colour background can be used. Generally they are printed on white wristbands to provide the best colours and the background is a full bleed covering the entire wirstband. Artwork specification: Ai vector (preferred) or layered files in PSD format minimum resolution 300 dpi) with output in PDF or EPS. Artwork images: Uploaded images and Logo’s must in high resolution (min 300dpi) or they cannot be used. Web images are not high resolution. Note: Prices exclude delivery and VAT. You can see the total in the shopping cart. 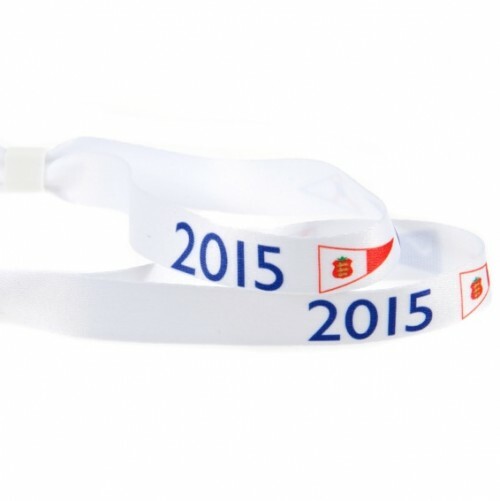 Minimum order quantity for plain or printed tyvek wristbands is 100 and only available in multiples of 100’s. Delivery approx 4-5 days from artwork approval. With custom products it’s often not easy to provide very short run order quantities. If you wish to order a very specific custom product or quantity please call us and we’ll do our very best to accommodate. Currently it is not possible to produce order quantities of less than 100. If you require less than 100 we will still have to produce and charge for 100. Call us on: 02920 227 955 to discuss the details. We understand you want your order as quickly as possible and whilst we will be working to make this happen here are some useful guidelines to help you understand how we operate. Production times are approximately 2-3 weeks from when you place your order. This depends on the quantity and level of customisation of your requirement. If we think it may take longer we will call you and let you know. Although our guideline lead times are 2-3 weeks, in some instances we can offer you a faster turnaround service. If you have a "must have by date" please contact us with your dates and we will do our best to ensure your purchase is delivered by the requested date. 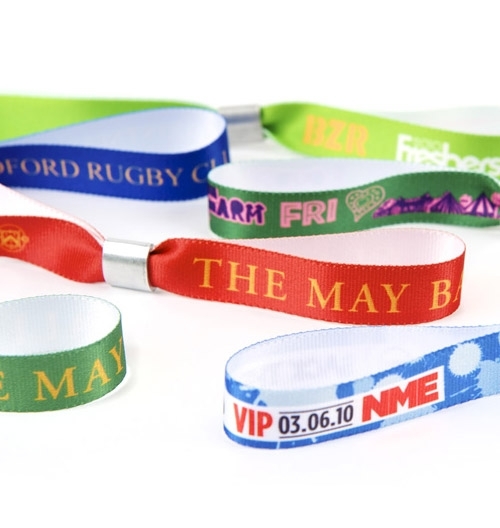 Let us take the hassle out of designing your wristbands. Just complete the form with your details and we will provide a digital proof prior to production. Logo's or artwork must be provided in high resolution (min 300dpi) or they cannot be used. Web images are usually not high resolution. We also provide Pantone™ colour matching if you have specific colours in mind. Minimum order of 100 wristbands per colour. Download the Pantone™ colour guide.